The 24rd Annual meeting has been held in Maastricht, the Netherlands, 15 - 17 June 2015. 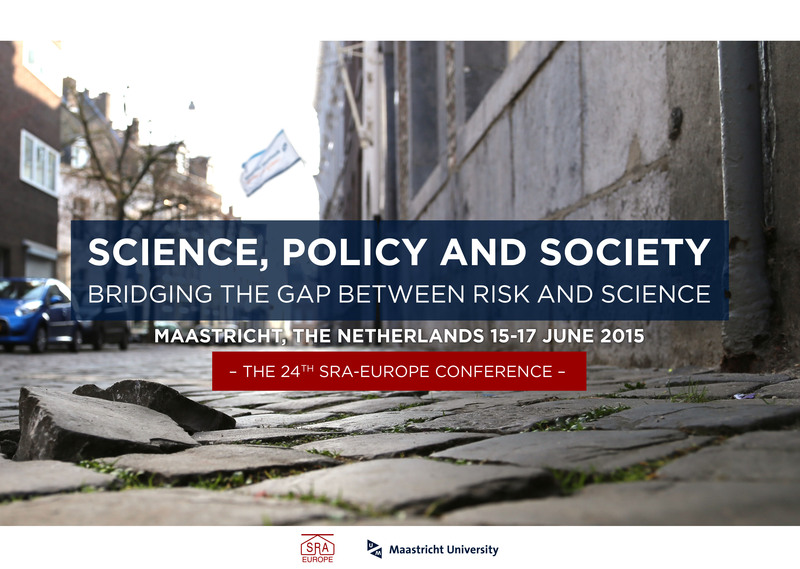 The special theme of this conference was "Science, Policy and Society - Bridging the gap between risk and science". SRA-E provides a platform for industrialists, policy makers and academics to discuss the ‘state of the art’ and future directions in the study of risk analysis, to understand concerns about the risk from both public and scientific perspectives, to promote efficient risk mitigation and to develop effective risk communication. This conference is an opportunity for risk analysts to come together to discuss issues, problems, goals, solutions and future research questions. The conference pamphlet can be downloaded HERE; the conference book of abstracts, can be found HERE.